CuckooTap is the best solution when you need an easy and effective way to introduce your company and share your works or products online. Can be used as a single page site as well as multiple page site. Theme is WooCommerce ready, thus you can use it for an online Shop as well. The theme is fully responsive and compatible with all modern mobile devices. 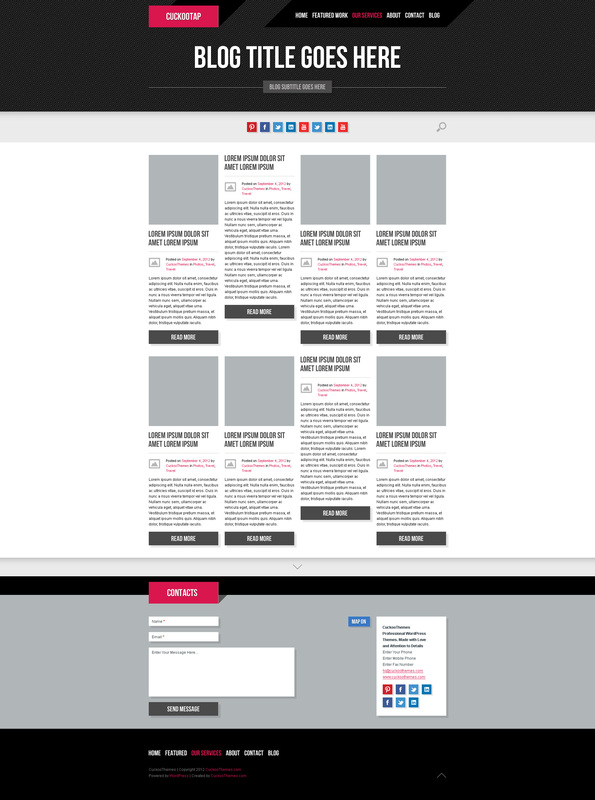 CuckooTap Homepage Builder allows you to highlight main details and display your content in a modern way. In addition, CuckooTap theme contains an integrated Portfolio Gallery with Multiple Portfolios functionality and Blog and 3 Custom Post Types: Work, Team Member and Testimonials. Please read theme changelog file for more detailed information. CuckooTap is WooCommerce Ready. Install free WooCommerce plugin, activate it and CuckooTap Theme styles and layout will be applied to the entire E-Shop including cart, checkout, and other eShop pages. Moreover, you can add any number of WooCommerce units and display different products types in your homepage using CuckooTap Homepage Builder. Customizable Header of Any Page Functionality Included. Revolution Slider and Layer Slider can be displayed in homepage slideshow unit. It allows create unlimited variations of homepage header: Full Screen Video, Full Screen Image Slider, Full Width Video, Full Width Image Slider or Static Image. Furthermore, these two sliders can be easily added using shortcode to the header of any Page, Post and even to any Custom Post in your site. CuckooTap Theme contains built-in Portfolio Gallery for your visual content. It allows you to display your works or projects in Homepage Works Gallery Units and in a single Portfolio page using two portfolio page templates with Multiple Portfolios Functionality: Filterable Portfolio 2 Columns, Filterable Portfolio 4 Columns. Works can be added using custom Work post. At the early stage of development CuckooTap theme was intended to be a single page theme only. Yet, in the process of framework development this theme became a more flexible instrument to the customers. So the final product came as it is now and we call it Three in One. eCommerce Site – Since version 2.6 CuckooTap is WooCommerce 2.0 Compatible. You may choose using only one type of a site or you may choose using all three at once. Make your own choice. CuckooTap is a SEO Friendly even when used as One Page Parallax WordPress Theme. CuckooTap theme framework allows Parallax to be seamlessly integrated into a WordPress site without forcing developers into a one-page crutch that kills SEO. Each page that you can add to the homepage as a homepage unit can be opened as a single page and has it’s own url and can be found using search engines. I have no idea why this template haven’t 3000 sales. 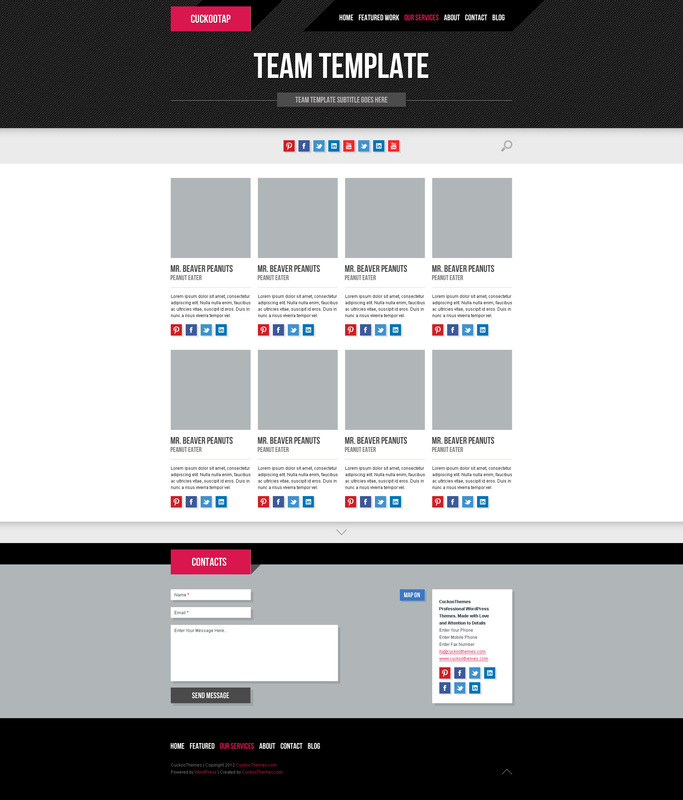 This template is awesome – so many options and so elastic! AWESOME!!! I would like to thank CuckooThemes and their support team for a very good theme and kindly support. I asked them questions and helps before I bought the theme, and they kept and delivered their promises. The theme documentation is very detailed step by step, easy to follow for a newbie like me. 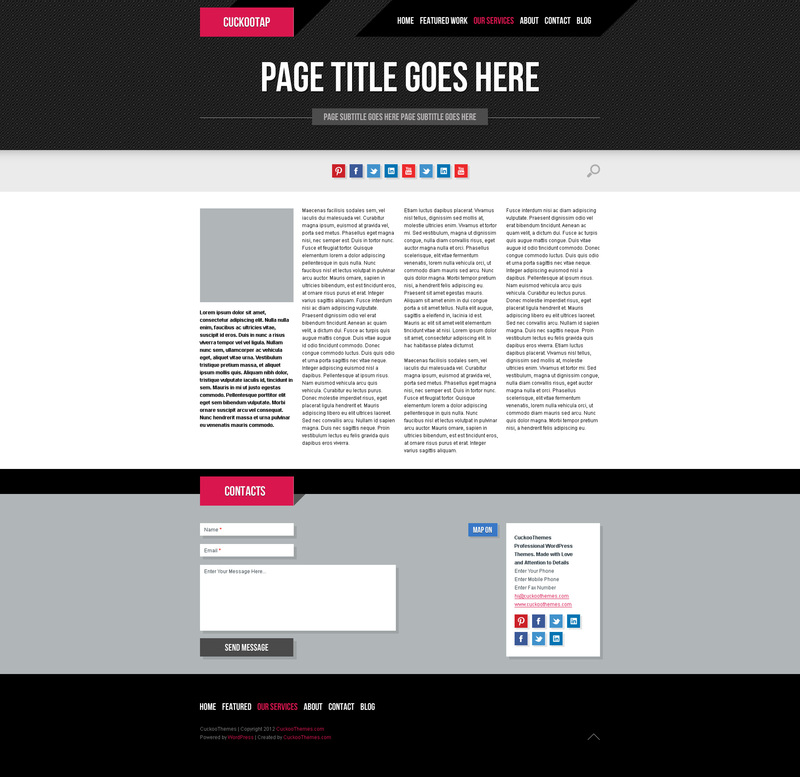 If you are looking for a basic Parallax One Page WordPress theme, this is the one! CuckooTap contains two predefined color styles to choose from: Light & Dark. Choose the style you want to use for your site and customize it in your own way. Dummy content XML files for each style are included as well. We believe that real responsivity test can only be done using real mobile device. Please scan QR code below to view CuckooTap theme on your mobile device. Still, you can check responsivity of this theme by resizing your browser. Responsivity Toggle Switch Added. Now you can turn on/off your site responsivity function depending on your content requirements with one click. 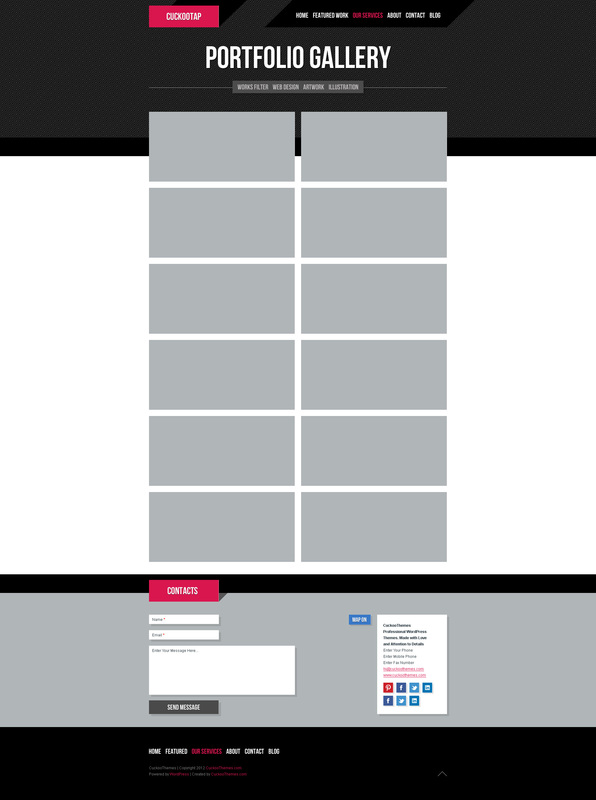 Using CuckooTap Homepage Builder you can build custom homepage layout. Add as many homepage units to your homepage as you want, they are unlimited. You can customize content and the look and feel of each homepage unit. Drag it to arrange the sequence as you wish. 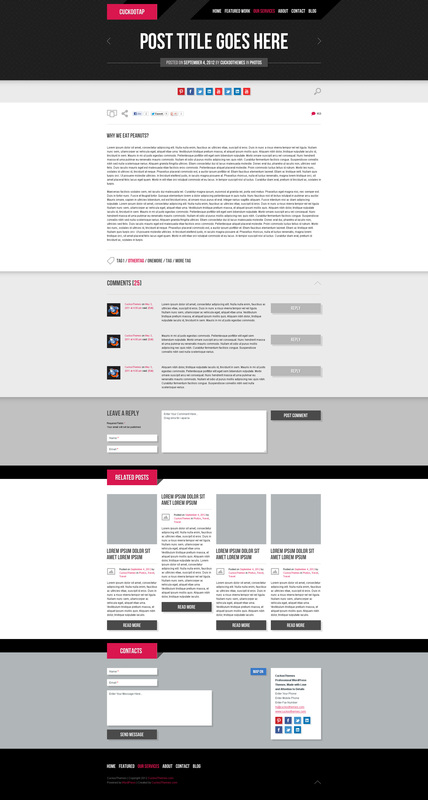 Click here to see screenshot of the View CuckooTap Theme Homepage Builder. You can add/edit a link to Each Homepage Unit in the main navigation menu using WordPress Menus as usual. No coding skills required. It is easy as 1-2-3! CuckooTap theme contains integrated jQuery Nivo Slider Plugin. Using it you can display you featured content in a fancy way in the Homepage. Display your latest works, latest news or introduce your products if theme is used as a company website. In case you don’t need a slideshow, you can display single image instead of the slideshow. Moreover, the slideshow has an additional functionality: you can add a Title, Subtitle and Button for every slide. Colors are unlimited as CuckooTap theme contains color customization system and by this system you can set unlimited number of color variations and background images for your theme. Also CuckooTap theme provides you with +500 custom fonts from Google. In addition, these fonts also fully customizable: you can set font properties and change a color for each font if needed. When you have something to say you probably will use Blog. CuckooTap contains integrated Blog for blogging purposes and two Blog Templates to choose from: Blog 3 Columns, Blog 4 Columns. 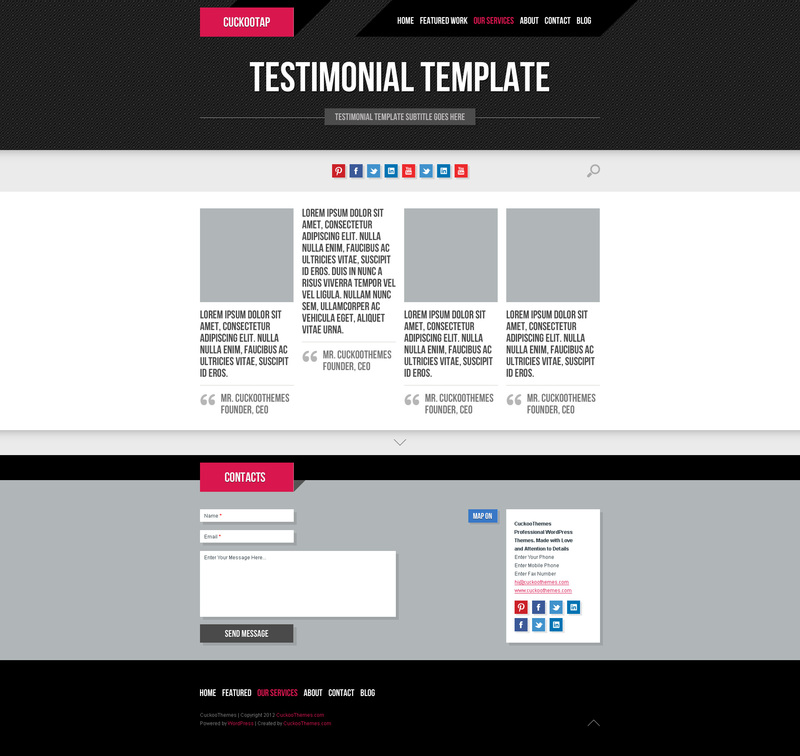 CuckooTap theme contains 3 custom post types: Work, Team Member and Testimonials. All these posts can be displayed using appropriate Page Template. By using Work post you can display your works, projects, photos, videos, or even products when you use this theme as your company website. Works can be viewed using integrated Portfolio Gallery. The purpose of custom post type called Team is to introduce your Team Members. Each Team Member post can be viewed in a single page where the information about member skills, education, experience can be displayed. Use Testimonials post type for displaying kind words from your customers. Add testimonial author photo or logo with a link to the related page. Theme Contact Form contains an integrated Math Anti-Spam Protection. Also CuckooTap theme is compatible with the most popular contact form plugins, including Contact Form 7. Using Advanced Theme Admin Panel you can control every option of this theme. Moreover, CuckooTap theme contains ~ 50 custom style shortcodes that allow you to add custom styles and elements to your posts, works or pages. Shortcodes are a simple way to insert elements such as typography elements, text boxes, dividing elements, columns, buttons, social media, maps, videos etc. Revolution Slider can be used in Homepage Slideshow and anywhere on the pages + in any page, post or even custom post header. Layer Slider can be used in Homepage Slideshow and anywhere on the pages + in any page, post or even custom post header. CuckooTap theme contains built-in CuckooLove rating system. You can add CuckooLove functionality to your posts and works using CuckooLove tab in CuckooTap theme control panel. Also you can use the CuckooLove shortcode to add it in other pages. Built with HTML5 and CSS3. CuckooTap has been tested in all modern browsers: IE 8 and later versions, Opera, Firefox, Safari and Chrome. All the images used in the theme demo are for preview purposes only and are not included in the main download file. After you try this theme, please take a moment to leave feedback about it on ThemeForest. Thanks! For detailed information about theme updates please check latest cuckootap/changelog.txt file.